What does this popular game have to do with your interest in seeking a Ukrainian bride? As strange as it might seem, there are some parallels. Consider the hundreds of hours of preparation an NFL player must invest in order to spend a few hours on the field in the Super bowl. To realize success in your effort, you would do well to do likewise, but not nearly as demanding. First there is conditioning. Clearly these athletes do all they can to be as physically fit as possible. You should do the same. Do what you can to increase your fitness and health before going to the Ukraine. You probably are interested in a lady several years your junior. While there is nothing wrong with this and it is quite common, you will have to ensure that you can meet her expectations. Travel can be physically challenging. You will be very busy. There may be a great deal of walking. Also in order to ensure some measure of success, you should meet and date as many lovely ladies as possible. Do what you can beforehand to be as physically fit as possible. Perhaps have a daily walk or jog for a half hour or so. A few pushups and crunches each day will go a long way to increasing your self-confidence. Also NFL players must dress very carefully. Of course this is to prevent injury. You should do the same, and try to look your best in order to meet your goal. Then there is careful planning. Successful players understand the goals and abilities of the opposition. Do you really understand why you are doing this and what you have to offer? Are you familiar with Ukrainian culture and its aspects? Of course, you may wish to go to enjoy the situation and date casually. However, most guys are seeking something more permanent to enhance their life. Consider the role of the quarterback. He needs to assess the situation and make a sound decision. He can pass, hand off the ball or run. 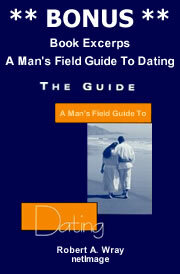 Likewise you need to survey the many available ladies you will meet and decide how to best proceed. Even the best quarterback can be sacked or throw an interception. This is normal and expected. A talented quarterback will quickly recover and hope to do better on the next play. He will learn from misfortune. You will have similar experiences. Obviously the majority of your interactions will not be successful. Either you, the lady or both of you will not be interested, even after more than one date. How will you proceed? Like a good quarterback, you would do well to not become infatuated or worse yet, obsessive and instead, move on. You will have the opportunity to meet many quality women. Aside from this analogy, what are your true intentions? If you should achieve success as many have, are you prepared to share your life with your one and only? What about your home and your financial circumstances? While it is not necessary to be wealthy, clearly you will be expected to provide normal living expenses, healthcare, etc. especially during the fiancé visa process. How about your family and friends? Are they going to be accepting of your future bride? Factors such as age and children should be carefully considered. These are very important issues where you should have a clear opinion.